According to an article in Hungry Horse News, Laurie Turgeon and her husband went up to Glacier National Park early on the Friday morning of July 6, 2018 and saw a deer standing by what they thought was a white rock. 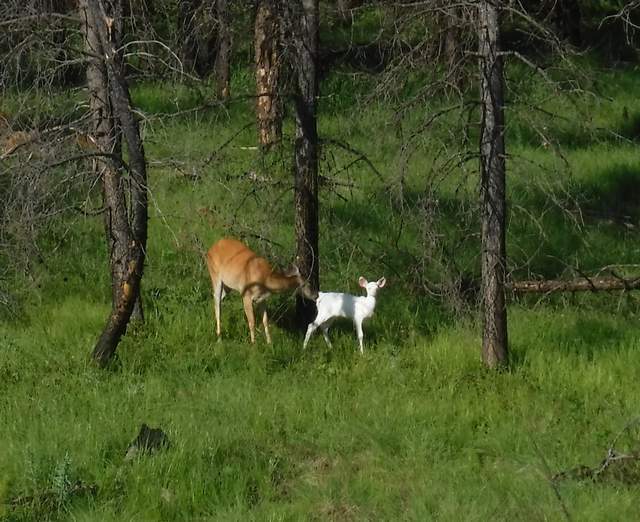 It turns out that white rock was an albino fawn! What a cool sight. They went up early that day to beat the crowd, and it turned out they got a glimpse at something pretty unique. Very cool. Unfortunately, the fawn’s lack of natural color makes it an easy target for predators, but who knows–this deer might beat the odds.